This post is part of larger, ongoing conversation. Studio Hyperset publishes posts, infographics, and case studies dedicated to these ideas on its blog (using the “21stcbiz” tag). (b) asking and answering fundamental questions about the type of business we want to build. These tasks are important, but, in and of themselves, they’re admittedly unremarkable. Virtually all enterprises, especially at launch and during growth phases, will engage in similar activities almost constantly. The lessons we learned by engaging with these two tasks, however, are very valuable, instructive, and, daresay, exotic. They not only helped Studio Hyperset encode its DNA and position itself for 2015 and beyond. As a bonus, we also revealed important fallacies, frameworks, and strategies relevant to many 21st-century service businesses, SaaS companies, and other project-driven, talent-oriented enterprises (such as publishers and production companies). These lessons also helped us define the kind of business that makes sense in the early 21st century and answer valuable questions about ways organizations can incorporate tools like JoinMe, Basecamp, Harvest, and Capsule CRM into day-to-day operations. Such tools help team members connect across geographies and collaborate in unprecedented ways, and their existence fundamentally changes the ways businesses can organize, empower, and manage teams. Perhaps most importantly, they help liberate individual members (including those at the C-level) to work in more satisfying, constructive, and independent ways. So if this is the emerging present, what, exactly, are we leaving behind? Anyone who’s read Michel Foucault’s Discipline and Punish knows it uses penology as a lens to understand the ways disciplinary authority conditions society as a whole. Foucault’s text is ideological and complex, but it’s written with a cool, measured clarity that makes it reasonably accessible to non-specialists. One of its more eminently relatable ideas would be familiar to just about anyone who’s held a job since the dawn of the Industrial Revolution in the late 18th century. Oliver Twist, James Bond, Don Draper, and Bridget Jones — industrial, government, post-industrial service, and media employees, respectively — could all relate to this idea. In Discipline and Punish, Foucault argues that as “modernity” developed, society stopped punishing crime in public spaces. Instead, it began doing so in the relative privacy of prisons. This shift had important effects on both the imprisoned and free populations. With respect to the latter, public and private institutions (including, most especially, workplaces), began organizing people according to the specialized tasks they performed. Tracking, organizing, and quantifying this activity demanded acute forms of observation, evaluation, and, ultimately control. Hence, corporate retreats, cubicle farms, and performance evaluation season were born. Early this year, as we began proactively courting creative service projects, I began to notice certain trends. Chief among these was a pervasive obsession with a particular binary, namely, the tension between “in-house” employees and “outsourced” workers. The former were “authentic”; the latter were “inauthentic.” The former were “compliant”; the latter were “rebellious.” The former were “preferable”; the latter were “defective.” And so on and so forth. Doubtlessly, making “local” choices was also done for political reasons: “At review time or in election season, how could we possibly justify spending money outside our immediate community environs?” Still, wherever we encountered the binary, in the public or private sphere, it came as quite a shock to me. I’ve worked as a media developer and project manager since 2006. The clients and professionals I’ve been fortunate enough to have relationships with live and work all over the world. I’ve never been in the same room with 90% of the people I’ve done business with, and I haven’t had a W2 relationship with a non-SH employer since I completed my graduate school course load (and its corresponding TA-ship). As such, I found this obsession with in-house/outsourced workers, and the complex anxieties associated with it, unexpected. I’d certainly known for some time that this binary existed. The terms have been part of everyday life for three decades. However, encountering it in these virtual spaces — discussing it via email and phone calls and social networks and “HR” resources and project management solutions — seemed fairly ironic and even hypocritical. Here were two parties connecting thanks to many of the very tools and resources that, for some reason, would become taboo if the parties involved were to activate an employment contract. At that moment of transformation, all the efficiencies these tools offered, all the ways they helped ease the tyranny of material space and the limitations of geography, would somehow become irrelevant. Their substantial, exciting, and empowering advantages would be shuffled into a dark corner, sacrificed for the sake of wacky-tie Friday. Moreover, because of my work history, I’d never really considered “outsourcing” pejorative or “in-house” all that advantageous. Quite the contrary, actually. As a rule, contract workers are independent, self-motivated, self-managing, and remarkably resourceful. They must be to endure and thrive. Employees, however, are often infantilized and require a certain amount of babysitting. Working with startups and small-caps, most of whom were very traditionally organized, I’d seen the residue of inner-office politics as well as the limitations and expense one encounters with an in-house team. As such, I found the presence of this binary, and the degree to which very smart, progressive people carried water for it, frustrating, limiting, and counterproductive. We discussed little of operations, project management, ideals, vision, cost controls, efficiency, UX, elegant solutions to interesting problems, market share, best practices, team building, or any of a hundred other vital concepts. Instead, each time I tried to bring these topics to the floor, we wound up having a banal exchange about late Medieval territorial anxieties, 19th-century lever pulling, and an all-too-modern discussion about discipline and punishment. Never underestimate the saving grace of a liberal arts education or the degree to which she empowers her hosts. At this moment, just when I needed it, my Foucault came rushing back to me, and I realized, These people aren’t primarily interested in projects or clients or deliverables or tasks or the team. Ultimately, they’re interested in power, ego, and control. Everything else is secondary, and that’s a problem. Their problem, it turns out. Because at this point, I started to feel a lot better about things, and we set about building something fundamentally different. We aren’t so much trying to invert or “correct” the in-house/outsourced binary, that is, make the latter “good” and the former “bad.” We aren’t trying to vindicate outsourcing (even as we believe the in-house model seems increasingly obsolete). Instead, we’re trying to wreck the binary on the rocks and liberate everyone involved into a better operational reality, one organized not around control, discipline, and punishment but, rather, around ideas, empowerment, and targeted applications of benign authority. In so doing, we’re actively displacing power, ego, and control and placing projects, clients, tasks, and deliverables at the center of everything we do. (a) All commercial enterprises should be organized like factories. (b) National identity is the supreme arbiter of human identity. While they found extreme (and violent) expression in the 20th century, both fallacies have their roots in the late 18th and early 19th centuries. The first is decidedly Victorian, the second decidedly Romantic. But both are outdated and have become increasingly anachronistic since popular adoption of the internet and other distributed communications networks reached critical mass in the late 20th century. Automattic famously organizes its workforce in conscious opposition to the Victorian factory model. (See this and this.) Why? Because they know that model makes less and less sense as we move into the 21st century. It’s expensive, limiting, inefficient, and most folks, myself included, just don’t like it. (d) day-to-day internal processes are driven by pervasive ego, power imbalances, shifting political hierarchies, and a preoccupation with control, discipline, and punishment. Studio Hyperset operates less like a factory and more like a project-driven film crew. This allows us to place projects, clients, and deliverables (vs. overhead) at the center of everything we do. We’re always in a position to select the best professionals on a project-by-project basis, we continually renew our skill sets, and we’re never limited by the particular talents of an in-house tribe pacing the factory floor. Our model also means we have minimal overhead (which translates into aggressive pricing) and virtually no capacity limits (which means single projects always get done on time regardless of how many other active projects we’re managing). Ironically, archetypal 20th-century businesses such as publishing and film production invented this model years ago. Project-driven, talent-oriented enterprises like the New York Times, Condé Nast, Scribner’s, and United Artists perfected consolidating a federated, geographically-agnostic workforce under a single brand. However, while they built the model, they failed to learn its lessons. And instead of maximizing the important strategic leverage available to them, these businesses often duplicated the operational models of their industrial cousins and squandered their advantages on bloated support staff; meal and entertainment expenses; real estate; and other unnecessary overhead. Certainly, heavy-industry and manufacturing-driven enterprises will always need some factory and service presence in the “meatspace.” But other service businesses like design and marketing firms, SaaS companies, and media enterprises — entities that trade intellectual property and build empires online and in people’s minds — are uniquely empowered to dispense with legacy factory frameworks and effectively upload operations to the cloud. Working with Studio Hyperset has taught me that providing the minimum constructive framework of expectations, executables, and accountability empowers everyone involved to make his/her best work. This approach encourages an ownership sensibility with respect to tasks and deliverables and rewards freedom of thought, expression, and individuality rather than conformity. It liberates rather than constrains, and I find the whole is fed by, and made strong by, the empowered (vs. disciplined) parts. Primitive human drama is minimized, and, in the warm sunshine of its absence, we’re free to focus on organizational efficiency and operational elegance. If the first fallacy is a hardware problem, the second is a software problem. It lives not in the material world, but, rather, in people’s minds. In this way, the second fallacy is even more pernicious and powerful than the first. Material spaces can be reorganized or altogether toppled. Even the most imposing structures are little more than fragile clay, and tribes can always decamp, as individuals or en masse, for more pleasing environments. Ideas, however, especially long-lived ones, have a way of asserting themselves long after they’ve become outmoded. Even as the tangible materiality of civilization turns to dust — houses, temples, mausoleums, monuments, prisons — ideas, no matter how old or how bad, rarely depart as quietly, cleanly, or completely. We inherit the second fallacy’s root argument from Romanticism. That cultural framework had a particular passion for organizing people according to the geographical accidents of their births and their resulting memberships in exclusive cultural groups. The geopolitical poisons associated with this fallacy are entirely self-evident, even to casual students of history and occasional consumers of mass media. In a commercial context, secular nationalism may be less deadly, but it’s still very damaging to the organizations that practice it. When we privilege this Romantic fallacy in a service context, we’re saying raw cultural identity matters more than the skills and personalities individual people bring to a given project or task expression, more than our clients, more than the collateral we deliver. This is as limiting as it is dangerous, and considering the ready availability of inexpensive communication and collaboration tools, it’s also entirely unnecessary. This second fallacy is essentially an abstraction of the first. That is, it merely extends the limitations of office “in-housing” to the nation state and argues only those who share one’s passport and/or cultural identity are appropriate players in a service gesture, SaaS solution, or creative project. In this way, the fallacy also reflects the influence of tariff protectionism and, like RFP awards, the desire to nationally “in-house” human resources so they benefit a particular taxpaying populace. Not only is this sort of thing generally anathema to the interests of free enterprise, it further privileges the nation state over its constituent human beings and interrupts the latter’s ability to sell goods and services in a global marketplace. This makes the issue a humanistic problem as well. (d) it delegitimizes global thinking and neutralizes the advantages of advanced connection and collaboration solutions. 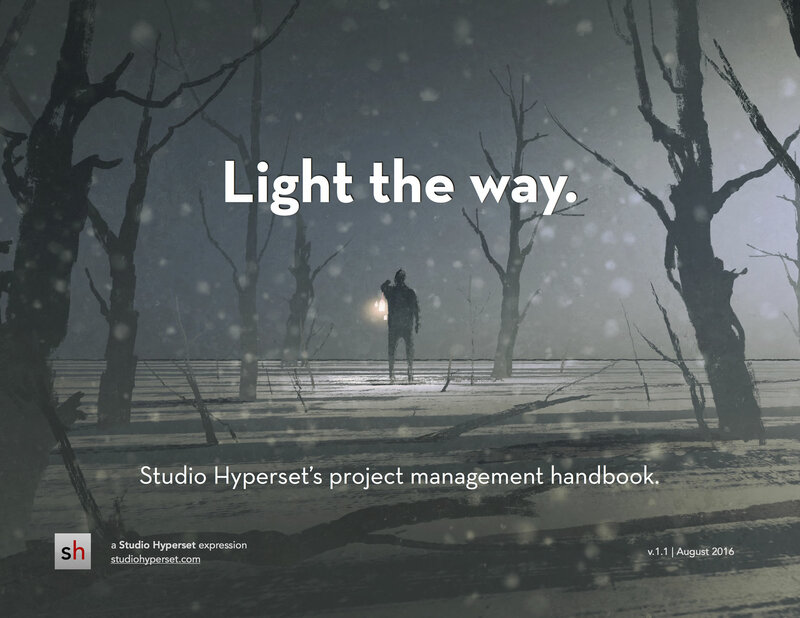 As a counter-model, Studio Hyperset works with a scalable, geographically-agnostic team of federated professionals. As a result, by actively working to retire the in-house/outsourced binary and the other 19th/20th century legacies we inherited, we’re able to maximize the value of our solutions, projects, and client services. Thanks to advanced networking and project management solutions, we can effectively connect and efficiently manage a global workforce and connect it with clients and projects anywhere on the planet. How we could, and why we would, choose to work toward anything else is a mystery to me, and arguments against this model, more often than not, rest on one or both of the two fallacies outlined in this post and its supporting infographic. At their cores, our dedication to Romantic nationalism and the Victorian factory model reflect powerful unconscious anxieties about cultural hybridity and the frenetic pace of modernity and technology, over what effect tearing down old fences will have on the family “farm.” If this is indeed the case, it’s worth remembering we already live in a cosmopolitan world with porous cultural and national borders. Studio Hyperset’s model is a logical evolution of service-based commercial activity in that context. The tide turned years ago, and continuing to build service and media factories with nationalist hearts would be like trying to push those waters back with a thimble. If we’re not using the web to improve organizational models, foster geographical agnosticism, encourage cross-cultural dialogue, and liberate humanity from temporal limitations, it’s just a glorified bulletin board. If you’d like to link to a particular point, long press/control+click/right+click the . Retire the in-house/outsourced binary once and for all. There are no nation states in the marketplace. There is no in-house or out-of-house. There are only projects, people, and the frameworks that empower creative federations and facilitate their expressions. Separate authority from control, order from discipline & accountability from punishment. Authority is a paradoxical capital entity: the more one gives away, the more s/he receives. Empowering those around you to do their best work, providing frameworks for them to do it in, and making your team accountable for its actions is the surest way to maintain order and establish, increase, and keep authority. “TAB(M)A” is an acronym I like to use to remind myself about the value of “targeted applications of benign authority.” Since men are especially prone to struggling with pervasive uses of malicious authority — and since I myself am a man — I often write the acronym “TABMA,” that is, “targeted applications of benign male authority.” Women, however, can equally apply benign authority in targeted ways and, in fact, they usually do it more instinctually and gracefully than men. If authority isn’t targeted, it’s ever-present like an anxiety-inducing ghost. It disrupts for no constructive purpose. If it isn’t deliberately applied, it’s ineffective. It prevents, rather than facilitates, the realization of goals. If it isn’t benign, it serves only its own ego-driven self-interest (which, ironically, interferes with the achievement of that interest). TAB(M)A, on the other hand, is selectively and deliberately applied for benign reasons, namely, for the betterment of the group, the improvement of the enterprise, or the realization of the goal. TAB(M)A can be firm, arresting, and even disruptive, but it never only serves its own interest or interferes with constructive movement toward a goal. If you’re in a position of authority, either explicitly or implicitly, those around you are aware of that fact. Human begins are hierarchical animals with an acute sensitivity to authority. As such, less good usually comes from malicious, blaring, pervasive reminders of authority than from benign, quiet, targeted applications of the same. Your team doesn’t need constant, in-person reminders that you’re an authority figure. A few periodic reminders, executed in targeted, benign ways, are sufficient to establish your place at the C-level of the tribe’s structure. This can be done effectively at some distance, with a phone call or message. For those who struggle especially hard with TAB(M)A, whose natural inclination is toward hovering and aggression, some physical remove will be especially constructive. Time is the only commodity. Don’t confuse time with other valuable things (with money, gold, diamonds, capital resources, &c). Compared to time, these things are sand. It’s the only thing of real value any of us have, and we can never increase our allotted share. Moreover, we have little control over when, or advanced knowledge of when, our share will be exhausted. We may avoid smoking, motorcycles, and ultralight aviation, but death makes a thousand routine, unexpected house calls every day. Underscoring its preeminent value, all other commodities are merely representations of time. When one buys a head of lettuce in a grocery store, he’s compensating the chain of players for the time spent growing, moving, and stocking that lettuce and, also, buying himself the time he didn’t spend doing these things. Similar things could be said of other marketplace exchanges. We pay a lawyer and buy ourselves the time we’d otherwise need to spend studying for the Bar. We run plastic at a clothing retailer and buy ourselves the time we’d need to spend gathering raw materials, sewing, and weaving. We purchase a car and buy the time we’d otherwise spend walking or taking mass transit. In daily life, we’re in a constant state of exchanging things of supposed value (generally, money) for time, which, on some instinctual level, we all know is infinitely more precious. And this is a good operating policy. Generally speaking, if you can trade something for time, it’s a good idea to do so. Yet, even as we trade for it, we’re in a constant state of exhausting it. And while there isn’t much we can do about that, we can make smart decisions that position us to maximize the value of the time we have. Be jealous of your time and selective about how you spend it, and respect your tribe’s right to the same entitlement. Throwing labor hours and heuristics at challenges is sometimes necessary, but these are emergency measures. As the leader, it’s your job to make strategic, well-articulated statements and guide activity in as efficient a manner as possible. This is your obsession and your ideal: driving activity through as few channels as possible, finding solutions with as few strokes as possible, activating only as much activity is needed to achieve a certain goal, constantly honoring the value of your time and the time of those around you. An efficient producer of widgets, the factory model, when applied to a service business, is a gross waster of time. Social obligations and tangles gum up the works, and meetings devolve into ego-shows and political messes. Better than this is an information-dense, half-hour, dial-in meeting after which members scatter to execute their allotted tasks in their own ways. Knowledge is the only form of capital. One could argue that being alive and in good health are equivalent forms of capital. However, these merely provide the minimum frameworks of existence and constructive activity. Knowledge, on the other hand, is the true agent of value and returns. We often refer to the 20th century shift from a “manufacturing economy” to a “knowledge economy,” but even the most primitive forms of labor require some task knowledge. In fact, I would argue the world’s never seen anything but a knowledge economy. Olive growers in the ancient world, instrument and weapon makers in the Middle Ages, union members on the assembly line, marketers and writers of code — all leveraged, or continue to leverage, knowledge capital in the marketplace. Even products like milk, racehorses, airplanes, petrochemicals, and appliances are, in essence, “intellectual property,” that is, expressions and instances of an individual’s or tribe’s knowledge capital. As such, it’s important to continually feed your own knowledge, that of your team, and the inbound knowledge stream your enterprise has available to it. Twenty-first century service fields are hyper-dynamic, and your individual strength, the strength of your team, and the strength of your service business will grow proportional to the strength and diversity of available knowledge capital. Because knowledge is the only form of capital, ideas have a special relevance and value. Outbound, ideas help you build empires in people’s minds, empires with low overhead. They’re a business’ greatest asset, ambassador, and product. Internally, ideas are your most important structural element. This model differs substantially from the traditional, factory/nationalist assumptions that holding a team together requires vast amounts of hardware, namely, physical space and presence. But these structural elements add expense and human drama and, ultimately, provide little insurance against team members’ departure. Whether a tribe inhabits the same tent or not, it’s software — ideas, vision, purpose — that binds them. Hardware is always a secondary player, an expensive, over-appreciated structural element. As a rule, the best ideas, products, and creative gestures are drafted into existence. They rarely, if ever, appear fully formed. If you’re an SaaS company dedicated to lean business models, you already know customers help you draft viable products. If you’re a “pure,” non-product-driven service business, you can (and should) still communicate the value of drafting and validated learning to your clients. Show them that while trying different models and frameworks can be expensive and time-consuming, like a novel or a painting any well-formed service gesture arises as a result of inquiry, experimentation, and raw curiosity. Internally, all entrepreneurs know that building a business (service or otherwise) requires near-constant drafting and “pivoting” and that this is a constructive, necessary process. Additionally, in the 21st century, it’s relatively easy to limit your service business’ overhead, and this often makes the necessary financial room for adequate drafting and experimentation cycles. Liberate the members of your team to follow their own paths toward a collective goal. This is the essence of a 21st-century service business. Like the 19th century before it, the 20th century was obsessed with lone, dominant personalities, with single individuals setting themselves (frequently trivially) against the crowd: the rock star, the artist, the writer, the politician, the social reformer. This model also gave us the “blockbuster” and the “bestseller”: lone-wolf human celebrity translated into single commodity fetish. In contrast, the 21st century is focused on the tangled hive: the network, the creative team, the chattering crowd. There are no more stars. There are only constellations. The value of any single voice, and any single creative gesture, has been reduced, and individuals often find themselves and their talents pushed into negative space. But no matter. We are adaptable creatures, after all. In response, we form posses, network them, and compensate for individual power loss with community webs. The nature and personality of leadership changes substantially in this environment, though. The leader’s job becomes less authoritative, less top-down, and more from-the-fray, more like that of a jazz bandleader. His or her job is to help identify the end goal, organize and guide collective expression with a light touch, and facilitate autonomous, improvisational motion toward the final bar line. Effectively refined and communicated, your ideas can survive without you. If your primary instinct is to control an office-box filled with people and to bully them with noise-masquerading-as-ideas, (a) you most likely haven’t communicated your ideas clearly, (b) they aren’t terribly inspiring or feasible, and/or (c) you yourself don’t trust them. All of these are problems. Conversely, if you trust in the clarity and efficaciousness of your ideas, you’ll have no problem finding first followers, motivating a team, and leading with precision and inspiration rather than fear. Long term, neatly- and consistently-articulated ideas not only have the power to inspire. They colonize minds and sustain themselves in depersonalized vacuums across time and geographies. Watchmaking is now a group effort. Deism is an 18th century, “Enlightenment” form of religious thought famously fashionable among the United States’ founding fathers. One of Deism’s most famous metaphors is that of the “divine watchmaker,” which envisions God as a sort of clock builder who, after having set the cogs of existence in motion, stepped away to let the creation run its course. This model has been widely remixed in business literature as a dichotomy between “time-telling” and “watchmaking.” (Jim Collins’ and Robbie Vorhaus’ articles are among my favorites.) Time-tellers posses a special, in-demand skill that they sell in the marketplace. Watchmakers, on the other hand, build teams, frameworks, and products that carry a particular vision or set of ideas into the marketplace. Pure time-telling faces a lot of challenges in the 21st century. The web has released a flat-world genie, and our online networking activities empower most everyone to build, expand, and manage tribal structures. These developments offer the first practical counter-argument to Romantic individualism in 200 years, which is exciting and refreshing. But it’s also very disruptive for individual time-tellers, and it significantly reframes the act of watchmaking as well. What if you took your special gift for being an incredible timekeeper and replicated that precision into a unique and perfectly accurate timepiece, a watch? Between client calls, you pull together a team. After sharing your vision, the team goes off and excitedly begins work on the world’s most remarkable timepiece. You work with your team to refine and hone both the design and accuracy of this new timepiece, borrow some money from your friends and family, and meet with possible new customers. The team pulls you aside, informing you proudly that they’ve named this new timepiece after you, and, in fact, have already started the trademark process. In this model, which thinkers like Ayn Rand would perpetuate in the 20th century, the entire watch is rooted in the founder, and courtiers gather around a charismatic “sacred king” to carry out his or her vision. But no matter how large the watch becomes, or how many people contribute to its growth and success, the organization somehow remains an ego cult dedicated to its progenitor. This sensibility has its roots in 19th century “Great Man” theory à la Friedrich Nietzsche and Thomas Carlyle. … Universal History, the history of what man has accomplished in this world, is at bottom the History of the Great Men who have worked here. They were the leaders of men, these great ones; the modellers, patterns, and in a wide sense creators, of whatsoever the general mass of men contrived to do or to attain; all things that we see standing accomplished in the world are properly the outer material result, the practical realization and embodiment, of Thoughts that dwelt in the Great Men sent into the world: the soul of the whole world’s history, it may justly be considered, were the history of these. We cannot look, however imperfectly, upon a great man, without gaining something by him. He is the living light-fountain, which it is good and pleasant to be near. The light which enlightens, which has enlightened the darkness of the world; and this not as a kindled lamp only, but rather as a natural luminary shining by the gift of Heaven; a flowing light-fountain, as I say, of native original insight, of manhood and heroic nobleness;—in whose radiance all souls feel that it is well with them. Watchmaking — that is, building semi-autonomous frameworks, independent systems, and predictable workflows — is still requisite to achieve any scale. The form is sound. But the way we engage with the form will only become more and more community-driven and less and less ego-driven as we move into the 21st century. 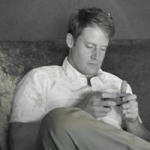 Groups, rather than the Deism- and Romanticism-influenced commercial creator, will empower one another and build effective, de-centered commercial frameworks, frameworks that exchange individual “heroes” pushing out from the center for collective networks pushing inward from the margins. As you help build and develop your 21st-century tribe, empower the units as much as possible. Empower your co-workers, customers/clients, and technology resources (think autonomous algorithms and data engines) to build the watch alongside you, as equal contributors to the whole. Once established, maintain the health of the structure by adequately and appropriately distributing responsibly and credit. In the interest of practicing what I preach, this article, its ideas, and Studio Hyperset would never have come into focus had my path not crossed those of Bruno Cantuária, Alan Goldman, David Goldsmith, Dave Hickey, Judy Loehr, Nick Roth, and Cynthia Wilson. This does not mean they bear responsibility for SH or the ideas in this post or that they necessarily endorse either — that obligation remains entirely mine — but I’m fortunate to be in their professional posses, and I benefit daily from having them in mine. When all’s said and done, what we refer to as “an individual” is really nothing more than negative space surrounded by and infused with the input and efforts of one’s family, friends, teachers, and professional peers. What we claim as “our identity” is really just their influence pushing inward and swirling about in our minds. If we can claim any positive sense of self or authentic originality, it’s like that of an artist’s palate. Many colors, which would otherwise be isolated, meet on that board and create new shades. What we call “individuality” is really just the influence of home mixing with the influence of our friends, teachers, and professional peers, and while we sometimes move the brush, we never create our colors. We inherit those from our earliest days to our last, and I, for one, am very thankful for the pigments I have to work with.